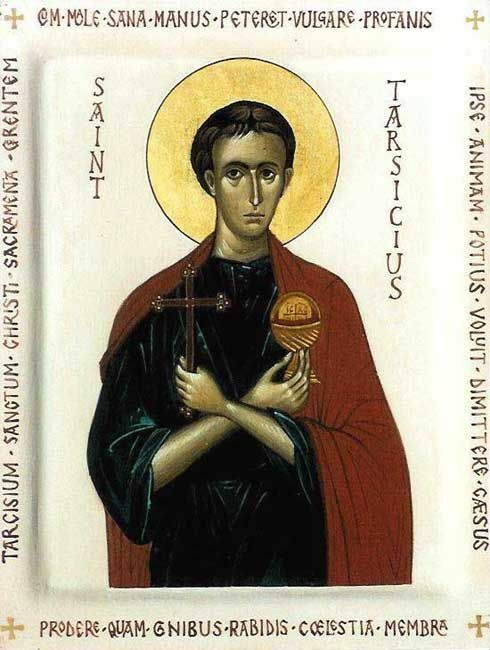 St Tarcisius was a 12 year-old Roman acolyte, who was martyred for his defence of the Blessed Sacrament, in one of the fierce persecutions of the third century. He was carrying the Eucharist to those in prison, and was killed on the way while preventing its profanation. He is one of the patron saints of altar servers, and his example reminds us of the reverence that we must have for the Body of Christ when we are serving on the Sanctuary. 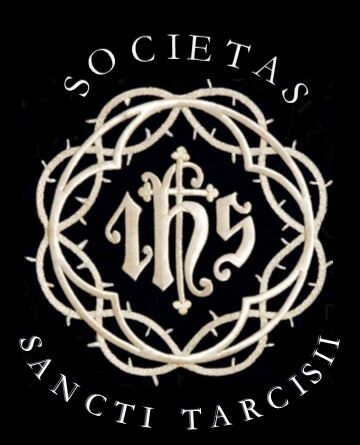 Membership of the Society of St Tarcisius is entirely free and is open to any Catholic boy or man who seeks to serve Low Mass in the Traditional Rite (i.e. in the Extraordinary Form as celebrated at Spetchley on Sunday mornings). Where an applicant for membership is not personally known to the Secretary of the Society, a reference (e.g. from a priest or qualified Master of Ceremonies) may be required to support the application. Those who are still undergoing training as servers for Low Mass in the Extraordinary Form may be admitted to the Society as probationary members. Those who are able correctly and devoutly to serve Low Mass in the Extraordinary Form may be admitted as full members. The Society encourages experienced servers to become Masters of Ceremonies of the Society. They are additionally charged with upholding standards, assisting with training of other servers, and with countersigning applications for membership. For further details - including application forms - please see the Latin Mass Society's Society of St Tarcisius page.